The growth of young horses (particularly between weaning and two years old), has received much attention from the veterinary scientists and some clear results have come from this research. It is accepted that in growing horses, energy and protein are the most important factors in the diet. When horses are being bred and developed to be sold as young animals, or to be considered for a competitive career at a young age (eg racing), then there is a tendency to maximise feed, particularly protein to create rapid growth to maximise the size and the bulked up look of the horse earlier. This is called maximal growth and is undesirable, optimal growth is correct and beneficial to the long term prospect of the horse, it will still reach its genetically determined size. However overdoing the amount of feed and particularly if it is unbalanced in the ratio of fat, carbohydrates and protein will have detrimental effects on the physiology of the horse. High energy diets without the full nutrient support may result in horses gaining weight faster but the risk is that the bones are not developing at the same rate and so result in bone developmental problems that will affect the usefulness of the horse. Young horses need mineral supplementation and care with the amounts and ratios of minerals and vitamins is necessary. Read our article ‘What Supplements Does Your Horse Really Need Each Day’ for full details and amounts. Fat and forage must be part of the diet in correct ratio. Forage (fibre) should never be less than 30% by weight of total feed intake, preferably higher, up to 50% or more. Much will be provided by pasture, but since the quality of pasture can be variable and the actual known intake difficult to assess, it is necessary to provide quality fibre with the daily feeds. 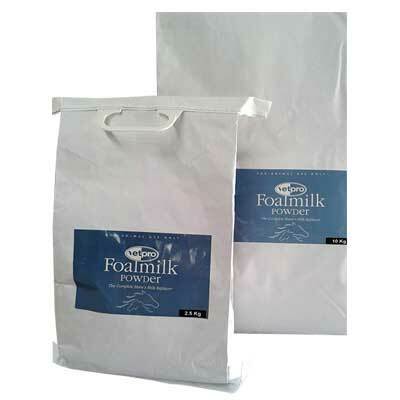 Fat can be sourced from pasture, from direct addition of a vegetable oil or from meal feed such as copra meal and soyabean meal, or from rice bran. The ratio in total should not exceed 10% and if the horse has a relatively high grain intake there is a possibility that they can become too fat and so the fat intake should be reduced. 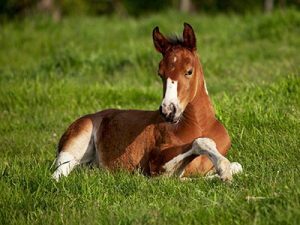 Dietary proteins do perform a foremost role in the health and growth of animals, protein requirements of the growing foal are a function of the amino acid requirements. Amino acids are the building blocks of protein, the quality of the protein is determined by its amino acid composition. 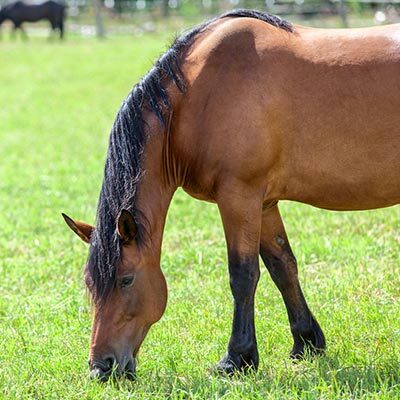 It is the quality not the quantity of the protein in the diet that regulates how well the horse grows and functions, a young horse will need 14-16% crude protein as a ratio of its feed intake. For more on protein read our article ‘Protein- What, Why, How Much’. Lysine is the first limiting amino acid in the horse and threonine the second limiting amino acid. A limiting amino acid can be described as one that if not present will prevent protein from being made even if other amino acids are present in adequate quantities. There is much science proving that protein quality can be improved by supplementing with the first and second limiting amino acids. Increasing protein quality rather than quantity has the advantage of more efficient utilisation by the horses, as it is not good practice to create excessive inputs of energy and protein due to the risk of extreme growth rates and creation of developmental disorders. Too much protein creates a tendency to overheat, blow and sweat excessively, produce high levels of ammonia in the urine. Potential blood insulin levels become too high, negative bone disorders can occur. Heat production from higher levels of protein may interfere with exercise by attenuating fatigue. Increased acidity will interfere with glycolysis and muscle fibre contraction. Urea levels in the blood increase leading to greater urea excretion into the gut which increases the risk of gut disturbances and enterotoxaemia. Increases in blood ammonia creating nerve irritability edgy behaviour, plus disturbances in carbohydrate metabolism, ammonia smells in the bedding, this can create respiratory issues from the stabled horse. E.A OTT research (Energy, Protein and Amino Acid Requirements for Growth of Young Horses) shows that reduction of concentrate protein and subsequently the feed intake of the animal, decreases the blood insulin concentrations which may be advantageous in helping minimise bone development problems. He goes on to suggest that protein concentrate can be reduced when the diet is proportionately supplemented with lysine and still support maximum growth response. Research data such as Growth of Thoroughbreds fed a low protein supplement fortified with lysine and threonine W.B. 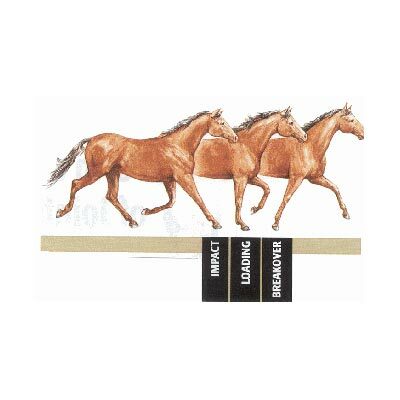 Staniar et al, concludes that fortifying the diet with lysine and threonine, improves protein quality and enables full realisation of genetic potential for growth, while raising horses on forages with a lower protein concentration and acid (P.M. Graham-Thiers et al). In conclusion, if the diet is supplemented with lysine and threonine, dietary protein can be reduced and in doing so will reduce negative effects of too much protein, without loss of growth or performance. Vetpro Lysine-T contains the essential amino acids lysine and threonine in a correct balance with correct effective dose levels, in conjunction with a yeast extract and yeast culture. Yeast in horse diets has been shown to enhance the activity of fibre digesting bacteria which increases nutrient availability and absorption. Yeast also stabilises the hindgut to help maintain a healthy bacterial population allowing optimum digestion to take place. Nutrition is important in maximizing bone density. Bone mineralisation begins during the last three months of pregnancy. At this point the foetal bones are simply cartilage models of the adult bones. The skeleton of the newborn foal contains only 17% of the adult bone mineral content. Skeletal growth is rapid during the first 12 months. 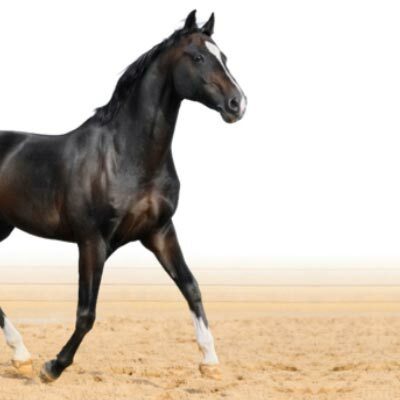 A study of growth rates in young thoroughbreds showed that at 6 months of age a horse can reach 84% of its mature height but only 46% of its mature weight. At 12 months it can attain 94% of its height and 65% of its weight. 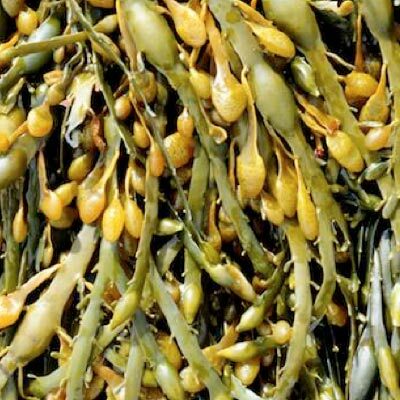 By 22 months it has virtually stopped growing in height (97%) and has usually reached 90% of its mature weight. Skeletal growth therefore occurs faster than weight gain. Other studies have followed total bone mineral content (BMC) during the same growth period. At 6 months of age bone mineralisation is 68% complete, by 12 months it has increased to 76%. Maximum BMC is not reached until a horse is 6 years old. Calcium and phosphorus are the main minerals found in bone. Daily requirements are dependent on growth rate. A six month old weanling gaining 0.65kg/day requires approximately 38g calcium and 25g phosphorus/day. A 12 month old yearling gaining 0.5kg/day requires around 45g calcium and 30g phosphorus. Lucerne hay is the best feed source of calcium containing around 12g/kg while grains are the best source of phosphorus (3.0g/kg). Bran contains high levels of phosphorus but only 20% is available for absorption. The ratio of calcium to phosphorous is just as important. Diets should contain ratios of between 3:1 and 1:1 calcium: phosphorous. Studies have shown that high ratios of around 6:1 fed over a long period resulted in reduced bone density. Inverse ratios can also have a detrimental effect. These can occur on high grain/low lucerne diets. Studies have shown that feeding extra calcium has no effect on bone density. Magnesium is essential for the formation of the collagen matrix as well as bone mineralization. Around 60% of the magnesium in the body is found in bone tissue. Human studies have shown a positive correlation between bone mineral density and dietary magnesium. Low magnesium is associated with reduced activity by osteoblasts and osteoclasts, the cells involved in bone remodeling. Good feed sources are lucerne (3.0g/kg) and soyabean-meal (2.7g/kg). Copper, zinc and boron are trace minerals that play an important part in bone development. 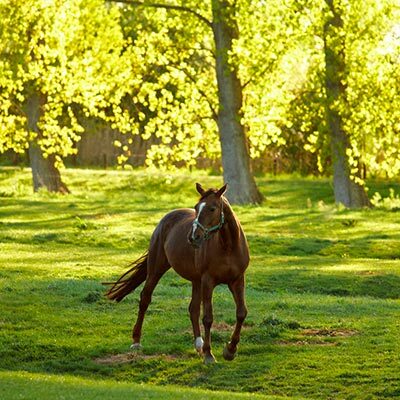 Studies have shown that copper supplementation of mares and foals can play an important part in skeletal development. Zinc is essential for bone and cartilage formation. It can interfere with the uptake of copper consequently high dietary levels are detrimental to skeletal development. Boron is a trace element that up until recently has received little attention. Human research indicates that boron aids the uptake of calcium and magnesium into bone as well as increasing vitamin D3 levels, important for bone mineral metabolism. Silicon is one of the most common elements on earth and is essential for normal body function. Most of the silicon found in nature is in a form of sand and is unable to be absorbed by the body. Plants can take silicon up from the soil consequently the forage and grains that horses consume contain small amounts. Silicon is involved in the formation of the collagen matrix as well as bone mineralisation. Experiments on chickens fed silicon deficient diets resulted in lower bone collagen levels, resulting in abnormal bone growth. The same series of experiments also showed that silicon supplementation increased the rate of bone mineralization as well as increasing the glycosaminoglycan levels in cartilage, important in the prevention and treatment of degenerative joint disease. Studies carried out at the University of Texas demonstrated the importance of silicon in maximizing bone density in young racehorses. In these studies horses on silicon supplemented diets were able to train and race for longer and sustained less bone injuries than non supplemented horses. This was attributed to an overall improvement in bone density. It was noted that silicon supplementation had no effect on growth rate therefore was not connected with any risk of growth related diseases like OCD. The studies also showed that if an absorbable form of silicon is given to lactating broodmares the levels in the milk increase which results in more silicon available to the foal. Interestingly human studies on milk mineral composition have shown that zinc, copper, iron and silicon are the trace elements found in the greatest concentrations during early lactation. As lactation advances, zinc, copper and iron levels decrease while silicon stays the same. Dietary mineral supplementation along with careful design of training programmes will result in improved bone density and in turn, improved skeletal durability. Young horses will able to stay in training for longer without the interruptions that bone injuries can cause. W. B. Staniar, D. S. Kronfeld, J. A. Wilson, L. A. Lawrence, W. L. Cooper and P. A.
Lysine Supplementation of Diets for Yearling Horses E. A. Ott, R. L. Asquith and J. P.
FeasterJ ANIM SCI 1981, 53:1496-1503. Restricting Concentrate Intake on Growth and Development of Weanling Horses E. A.
Amino acid supplementation improves muscle mass in aged and young horses P. M.
Graham-Thiers and D. S. Kronfeld J Anim Sci 2005. 83:2783-2788. K. A. KLINE Virginia Polytechnic Institute and State University, Blacksburg, Virginia 2406 1-0606, USA. Brendemuhl and S H Ten Broeck J ANIM SCI 1994, 72:380-386.